National Debt Relief publishes an article on their website to warn consumers of the limitations of savings accounts. While a savings account will earn interest, it is usually very small to even keep up with the inflation rate. National Debt Relief, one of the leading debt relief service providers in the country is giving out a warning to consumers who are focused on growing their savings. The article entitled “Beware! Your Savings Account May Not Be Enough To Save You,” mentioned that one of the ways that consumers save is by putting it in their savings account. There is nothing wrong with that but the article believed that it is not enough to help consumers reach their saving goals. Most financial experts are encouraging consumers not to focus too much on the amount - as long as they are saving. However, that does not mean they should not think about where their money will grow best. The article revealed that consumers should not put too much faith in their savings account. Although it can keep their money secure, it will not be growing at a rate that can really help them when the time comes that the cash is needed. The article discussed how consumers should not only put aside money, they should also consider what they are saving up for and where it is best stored. While a savings account will earn interest, it is usually very small to even keep up with the inflation rate. Given this idea, National Debt Relief provided consumers with two suggestions to help ensure that their money will grow the most. 1. Increase their yearly savings. Obviously, to increase savings, the consumer must put aside more money. The article suggested that consumers commit a portion of their income and stick to that amount no matter what. They should not use that for anything less than a life or death situation. When they get their salary, the article urged consumers to get their savings immediately - and not do it after all the bills are paid off. 2. Take it out of a savings account. The second suggestion provided by the article is to take the money from their savings account and put it in investment accounts that will give them higher yields. Everything should be invested elsewhere - except for the emergency fund. 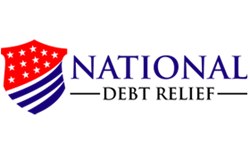 National Debt Relief believes that consumers have a lot of options to put their money so it will grow at rate that will prove to be most useful to them. To read the whole article, click on this link: http://www.nationaldebtrelief.com/beware-savings-account-may-enough-save/. Over the years, National Debt Relief have successfully helped thousands of consumers get out of debt through debt settlement. Their exceptional service is coupled with a custom debt solution that is reasonably priced. This help them earn a consistent A rating with the Better Business Bureau. They also promote financial literacy, as evidence by the hundreds of articles that can be found on their website. Visit their site to learn more about debt, how to get out of it and stay out of it.